Please stop by the gym during Open House to sign up for a family car tag and the new arrival and dismissal instructions. 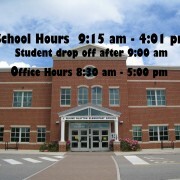 Please note all dismissal changes need to be made by 3:15 pm each afternoon to insure a safe dismissal. JBB is on Twitter — Check for Posts Here! https://wjccschools.org/jbb/wp-content/uploads/sites/10/2014/12/Twitter-logo1.jpg 225 225 https://wjccschools.org/jbb/wp-content/uploads/sites/10/2014/05/logo.png 2015-08-24 15:31:332015-08-24 16:47:33JBB is on Twitter -- Check for Posts Here! To avoid mid-year adjustments and to bank instructional time, the 11 minutes (5 in the morning and 6 in the afternoon) added in March 2015 will be continued for the 2015-2016 school year. New to Kindergarten? Click on picture. 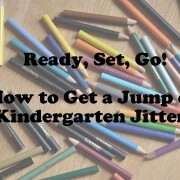 https://wjccschools.org/jbb/wp-content/uploads/sites/10/2015/08/kindergerten.jpg 2848 4288 Jennifer Kimbrough https://wjccschools.org/jbb/wp-content/uploads/sites/10/2014/05/logo.png Jennifer Kimbrough2015-08-19 19:49:302015-10-03 11:08:03New to Kindergarten? Click on picture.